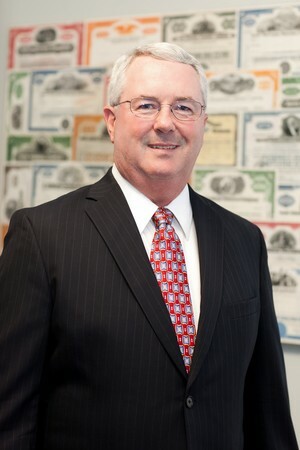 Scott H. Geisbert, CERTIFED FINANCIAL PLANNER™, has over 30 years of experience in the financial services industry. In serving both individuals and businesses, he focuses on assisting his clients in addressing retirement issues including retirement planning, investment management, company retirement plans, estate planning and trusts. His aim is to methodically move his clients closer to their financial goals at each step in the process with his tailored approach. Mr. Geisbert has a Bachelor of Business Administration from James Madison University and has attended Cannon Financial Institute studying Trust Administration and Retirement Plan Administration. He is a CERTIFIED FINANCIAL PLANNER™ Professional and is licensed in property, casualty, life, health, and long-term care insurance, and holds an FINRA Series 7 registration (General Securities Representative).